Yahoo! Inc. and Carnegie Mellon University announced a five-year, $10 million partnership highlighted by an industry-first mobile toolkit that will enable CMU researchers to easily experiment with Yahoo’s real-time data services, letting them test new ways that machine learning and interface technologies can improve personalized user experiences. The InMind Project will be directed at CMU by Dr. Tom Mitchell, Fredkin University Professor of Computer Science and Machine Learning and Head of the Machine Learning Department, and by Dr. Justine Cassell, the Charles M. Geschke Director of the Human-Computer Interaction Institute. Tom Mitchell interview at KDKA. The mobile toolkit serves as the infrastructure for a living laboratory for researchers to explore new approaches to understanding human behavior by using machine learning algorithms to more accurately predict user needs and intentions. It is also expected to enable the development of new personalization techniques and interfaces to provide a more compelling user experience. Members of the CMU community who opt-in to use the experimental mobile software will provide researchers access to real user data and the opportunity to rapidly iterate on the technologies. The partnership, named Project InMind, also includes a new Yahoo-sponsored fellowship program at CMU. The program will provide financial and research support to School of Computer Science students and faculty members. 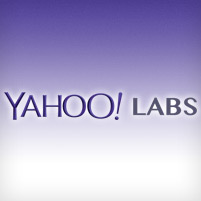 Yahoo Fellows will have the opportunity to pursue research in disciplines such as machine learning, mobile technologies, human-computer interaction, personalization, novel interaction techniques, and natural language processing, with annual financial support from Yahoo and mentorship from world-class computer scientists at Yahoo Labs and CMU.